The UK’s official gambling regulator have announced their bi-annual industry figures for 2017 providing the latest information on every sector regulated by the Gambling Commission. The UKGC release their findings every May and November, which is provided by the UK license holders through their regulatory returns. 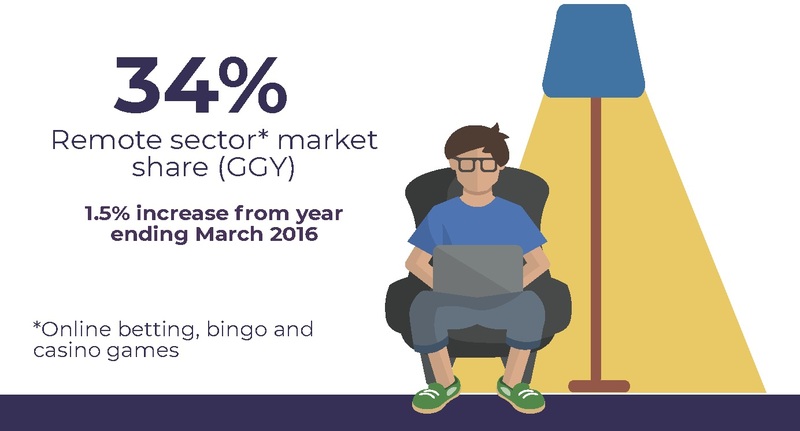 The data from this November’s release covered the period between April 2016 and March 2017 and focused on the whole industry from bingo to the lottery. Online gambling currently accounts for 34% of the whole gambling industry. Online casinos take up the majority of the online gambling revenue share with 56%, while online sports betting take up 37.1%. The remaining 6.9% is made up by bingo, betting exchange and pool betting. From April 2016 to November 2017 there have been 31.5 million new account registrations, and there are currently 28 million active accounts online across the spectrum. When it comes to online casino; slots account for the majority of the total revenue with an overwhelming 64.5% of the market share. Table games are a distant second highest with 15.8%, while other card games, instant-win and poker peer-to-peer make up the remaining 19.7%. Football betting currently accounts for 31% of sports betting, with horse-racing generating 19.6%. The remaining 50% is shared evenly between tennis, dogs, cricket, golf, and other. “These latest figures show that the gambling market is continuing to grow, particularly in the online sector,” said the Commission Executive Director Tim Miller. The gambling industry as a whole has risen by 1.8%, while the online gambling industry has increased by 4.6%.